GARY MILLER IVEY, age 63 of Clanton and former long-time resident of Hoover, passed away suddenly on January 21, 2019. Ivey was born in Jasper, Alabama on July 7, 1955; the son of the late Garve Ivey, Sr. and the late Joyce Pigott Ivey. Ivey was a master GM Dealer for many years and was a former partner of Crest Cadillac in Hoover, AL and Crest Cadillac of Nashville, TN. Ivey rose to the mayor’s seat after his predecessor, Tony Petelos, resigned to become Jefferson County manager. The Hoover City Council appointed Ivey to succeed Petelos. He then ran unopposed for a full term as mayor. 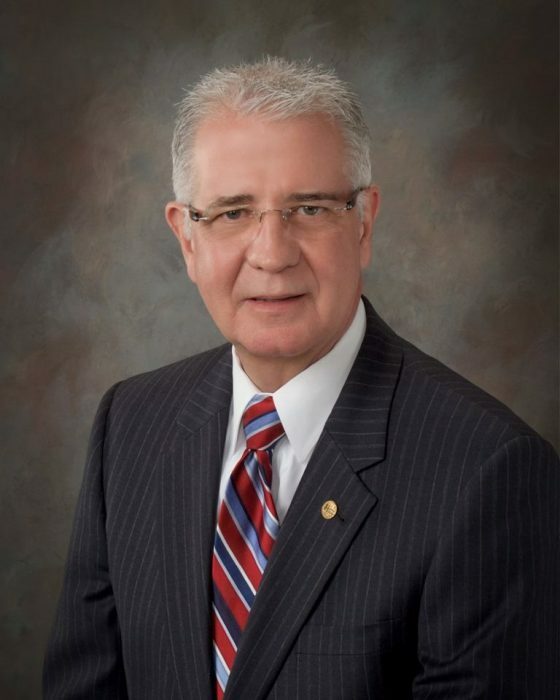 Prior to becoming mayor, Ivey served eight years on the city’s planning and zoning commission, and seven years as president of the Hoover City Council. Some of Ivey’s best memories in city government included the development of Veterans Park, construction of the Hoover Senior Center, and additions to the Hoover Public Library. He was also fond of the sports field at Hoover Sports Park East for children and adults with special needs. Other significant accomplishments included the widening of U.S. 31 between I-459 and Data Drive and assisting important private sector projects become a reality. Some of those projects include the renovation of the Riverchase Galleria and the construction of the Field and Stream store in Patton Creek; along with two freestanding emergency departments. Ivey is survived by: Daughter, Dr. Christian Nicole Ivey, PhD of Clanton, AL; Daughter, Tyler Faith (Sean) Shepherd of Colorado Springs, CO; Grandson, Derreck Christopher Ivey of Clanton, AL; Granddaughter, Savannah Leigh Johnson of Clanton, AL; Brother, Garve (Helen) Ivey II of Jasper, AL; and Sister, Carol Ivey (Woody) Hyde of Jasper. He is preceded in death by his Parents, Garve and Joyce Ivey. Funeral services will be held on Saturday, January 26, 2019 at 2:00pm from the Chapel of Ellison Memorial Funeral Home in Clanton with Rev. Jason Green officiating. Visitation will be held two hours prior to the service at Ellison Memorial Funeral Home of Clanton located at 1709 Lay Dam Road in Clanton, AL. Burial will follow in Southern Heritage Cemetery in Pelham, Alabama.